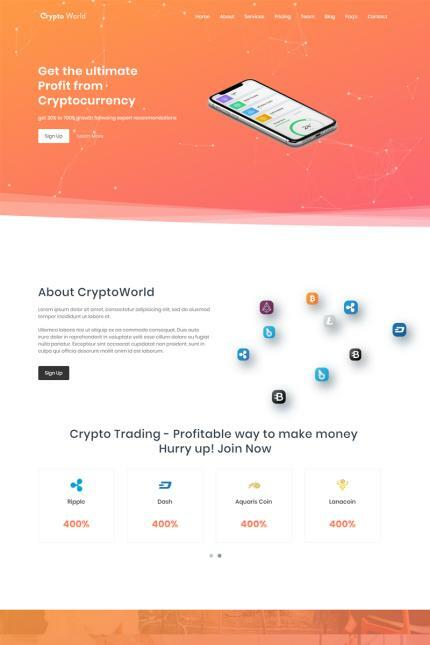 Crypto world is Single page HTML5 Template for Crypto Currency Agency. It is suitable for bitcoin/litecoin, crypto, currency, mining, and exchange websites. Crypto World includes smooth animation which make your website more beautiful. Crypto World template has a fully responsive layout & it uses Latest Bootstrap4. KUP TERAZ - 84 zł.